Mackie’s Corner, the building which hosted two commissioned exhibitions during the Tall Ships Races is currently hosting a Showcase for Local Sunderland Artists. The Sunderland Indie 20/20 VISION Exhibition. 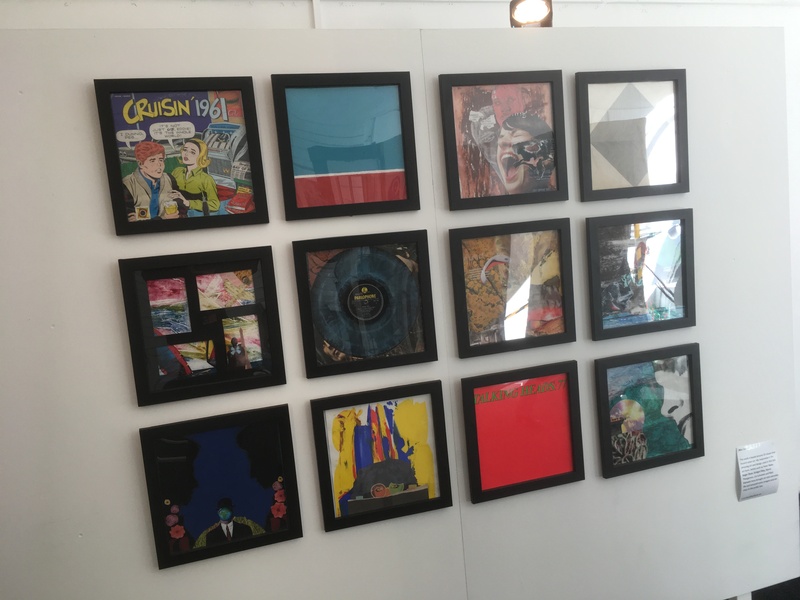 The Exhibition being held at the Mackie’s Corner in the city centre is currently running from September 27 to October 13 will showcase the works of 20 members of Sunderland Indie in two three-week blocks with the second block of 10 being showcased until October 13. The Creator of the exhibition Barrie West Said “The Project has taken over three years to come together. About two years ago I became more aware that there was a lot of talented artists who were just under the surface of credit”. “Having just done a project at the time called the ‘All That we were saying’ International art project for peace, I noticed there was no room for local artists. We needed a place to showcase our work and I made the decision to contact private business who were interested” He Explained. “I got contacted by Sunderland Culture around Easter time if I was interested in putting an exhibition on at Mackie’s Corner. They gave me two units for six weeks to showcase the work of 20 different artists. We have had 10 artists displayed and our second group of 10 are having the work showcased currently” He Said. Explain his other showcased work he said “This work here is a montage of photos, a selection of pictures of the rocks, sea and sky. Giving the theme of progression throughout the work” as having progressed into being a full-time artist. 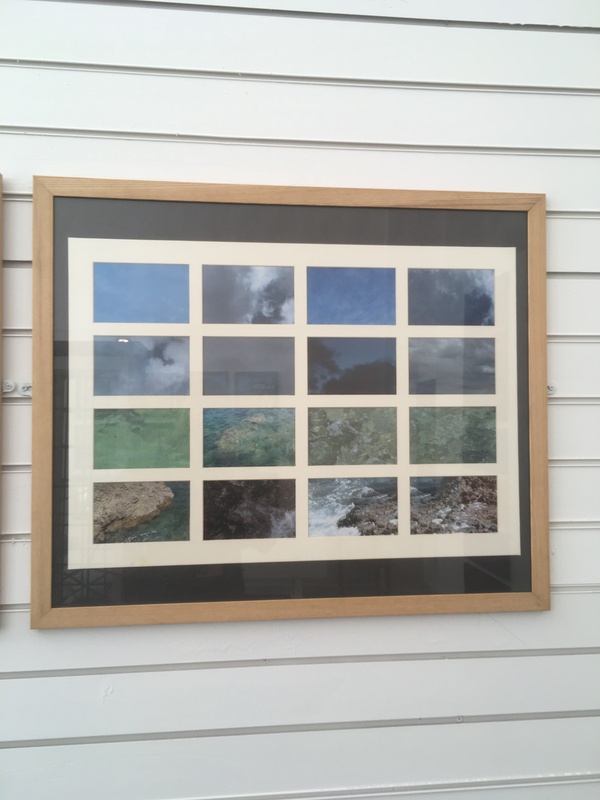 Alex is a former art teacher and a graduate of Sunderland University, having taught art for nearly 30 year before coming back to Sunderland to complete a fine art degree and going into art full time with an art gallery at the Spectrum Cultural Hub in Seaburn. This article originally ran on SR News and was written on Friday, October 5. Check out SR news here and read the original here. This Artlce was written as a peice of coursework for My BA- Hons In Journalism, Please enjoy. It’s the day every person in the world wants to experience when a cute and small bundle comes into your world. No, I am not talking about a child. I’m talking about becoming a paw parent! 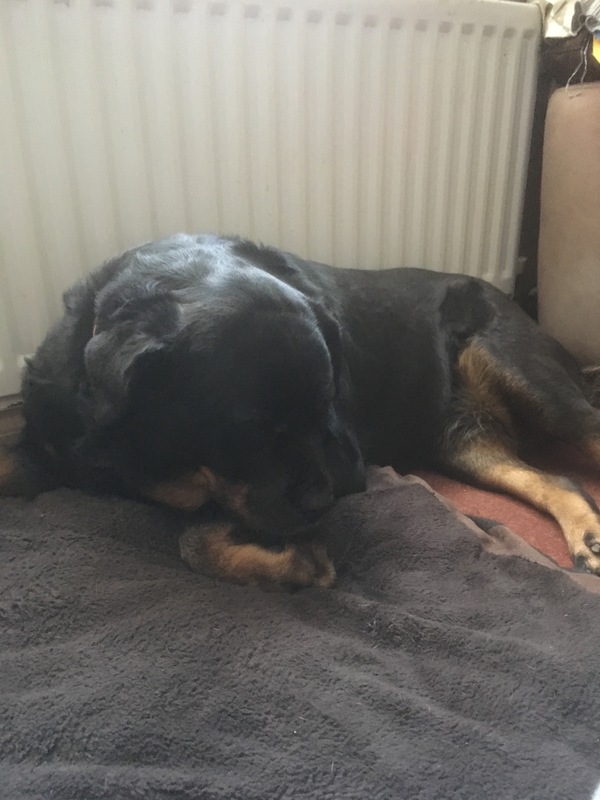 And for the past eight years, I’ve been the adoptive paw parent to a rottweiler like no other, my loving Companion Venus who has developed quite quirky habits and ways of showing her love. When you think of a Rottweiler attacking, you think of images of aggressive teeth showing killing machines with the bark that could send a ship backwards in time. Not Venus, her form of attack is to turn you into her snot rag. You’ll be getting dolled up to the nines, ready for the big event with the organisation that has helped you come so far with your autism and Venus will be like “My nose is itchy, let me wipe it on these formal black trousers!”. Ten seconds later you’re covered in rottie snot, try and explain that one to Terry Deary. The Main characteristic of a Rottweiler is that they are fearless defenders, prepared to go to the end of the earth to make sure there home and owner are safe. However, My Venus takes a different approach, The Bodyguard style duck and cover. Even when you are sat working on the critical deadline for that article, you promised a charity months ago. She’ll come crashing down on you like a Jenga tower and send the tablet to the ground. She’ll happily greet every DPD driver that came to the address with my order from MyProtien, but won’t even acknowledge when I came back from the hell that was school. Gee Thanks, Venus. Dogs are the most extroverted animal in the kingdom; no other animal including humans can match their power to be incredibly social. 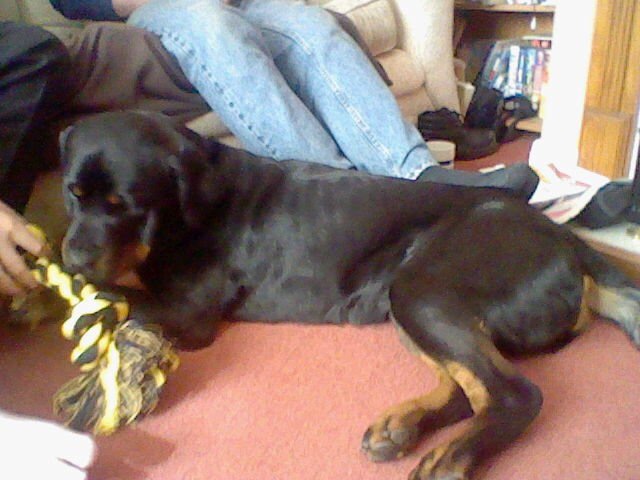 The standard Rottweiler will always be wary of new people for fear they’ll attack there best friend. As for Venus, It’s way different. It’s a Friday night and its takeaway night in the Dodds Household, We’ve placed our order and wait eagerly for the knock at the door. The delivery driver walks up the path to the back door and knocks, Venus in her wisdom decided to jump up at the handle and pulls it down. In effect opening the door to a complete stranger. The look on the face of the delivery driver says it all. When you do decide to take to dog out, its usually for a walk or even a trip to a relatives house. You get the dog bags and pack some treats to reward your Rottweiler for good behaviour; You know the drill. You stop by a big park so your faithful buddy can mingle with other dogs and make do with the business. Maybe swing by a dog-friendly pub for a drink afterwards. Can you tell where I’m going with this one? Venus is a pub dog, Happy to mingle with the patrons of any public house in the land, charmer of all bartenders and quick to catch the eye of the chef. 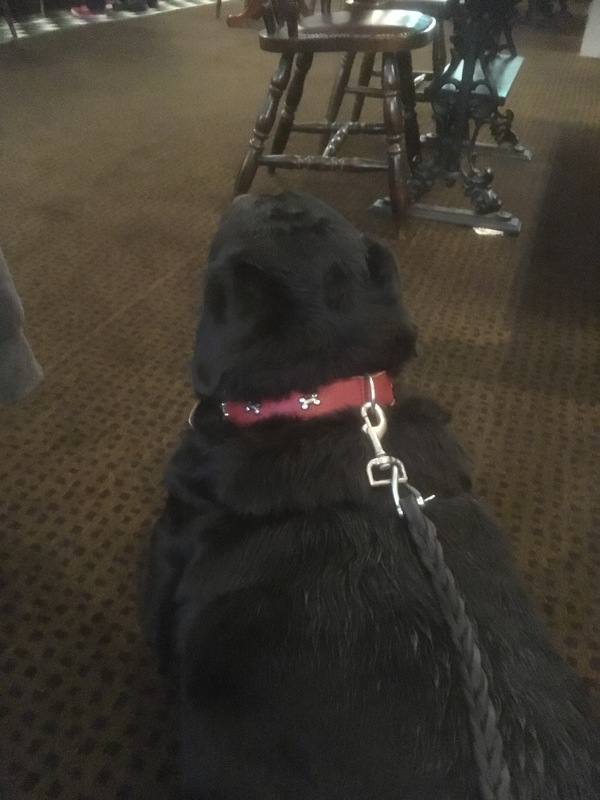 Venus is so obsessed with pubs that shell plonk the brakes on outside any pub and not move a muscle until you go in. But Venus, I went to the pub last night, I can’t afford another trip! With all that said, I Still love her with all the heart in the world. Being a paw parent isn’t easy, and I wonder if being a human parnet is any different?